it sounds so calgon-esque, especially if you recite it in a whispery voice, but the reality is that my to-do list is ever looming with not a line crossed on it... and that is okay-i guess. to begin, Halloween my most favorite-ist dress up holiday was fantastic. 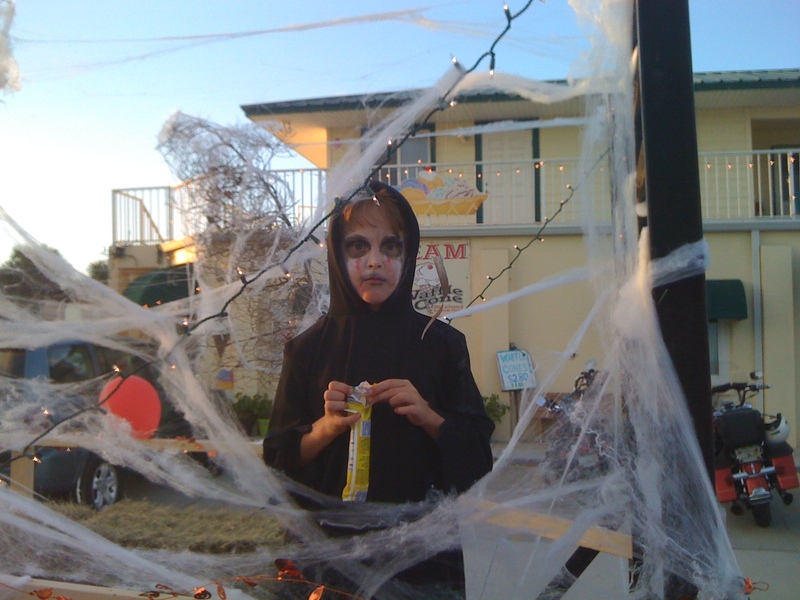 i am quite proud of my idea for lil p's costume. 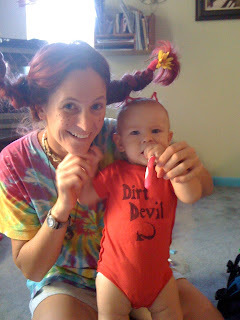 she was a dirt devil--yes, like the vacuum--which is completely appropriate since she picks up and eats every little thing that can possibly gag and choke her. special K morphed into something that involved capes, blood, face paint, fangs, light sabers, and any other special effect he could hold while climbing in and out of trees. pappa bear was an all-black rugby player and for me i recycled an old idea of Pippi Longstocking's long lost cousin "hippy no stockings." as for special k's return to school...well, it has been a somewhat easy transition in terms of his first week only being 3 days and one of them including a Halloween party. there have been a few sad-faced, puppy dog eyes made when it comes time to get homework finished, but for the most part i think he is adjusting well.